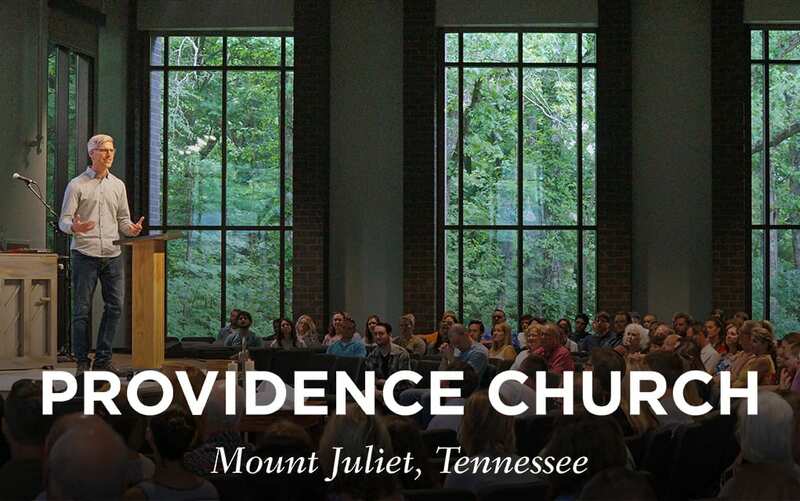 Providence Church in Mount Juliet, Tennessee, has developed a reputation in the community as being a place for everyone. Another focus of the church is to be fully present in their community. “We try to picture what people’s lives look like and serve them where they are,” Armstrong says, noting that sometimes that means stepping into hard things. Armstrong stresses the importance of having a missionary mindset when planting a church. “Every day, I think about how we can connect to our community. We were a mobile church, meeting in a school, a park, a hotel, and a movie theater for eight years before getting our own building. We did that because we wanted to put our money into our community first. Providence Church is unique because its members are so diverse in age. The church building is across the street from an active older-adult housing development, but the community as a whole is very young. One of these families is Terry and Sara Rose and their two young sons. For the previous year, a friend had been telling Sara that she should try Providence. At the same time, a different friend was encouraging Terry to attend a service there. On the Sunday after Thanksgiving 2014, Terry and Sara and their sons entered the middle school gymnasium where Providence was holding services at that time. On the family’s 100th Sunday, the four members of the Rose family were baptized. “It was such a beautiful experience, even though the church had to buy a bigger tub to accommodate Terry’s height,” Sara says with a laugh.